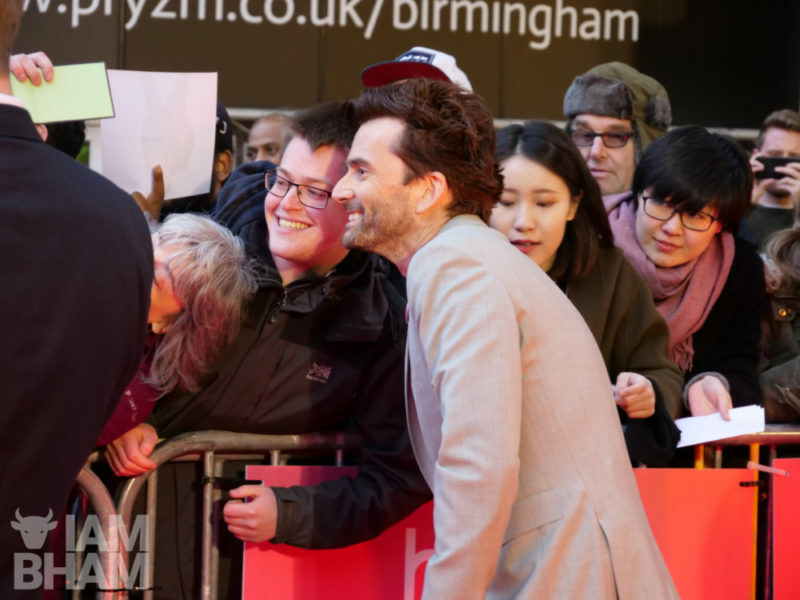 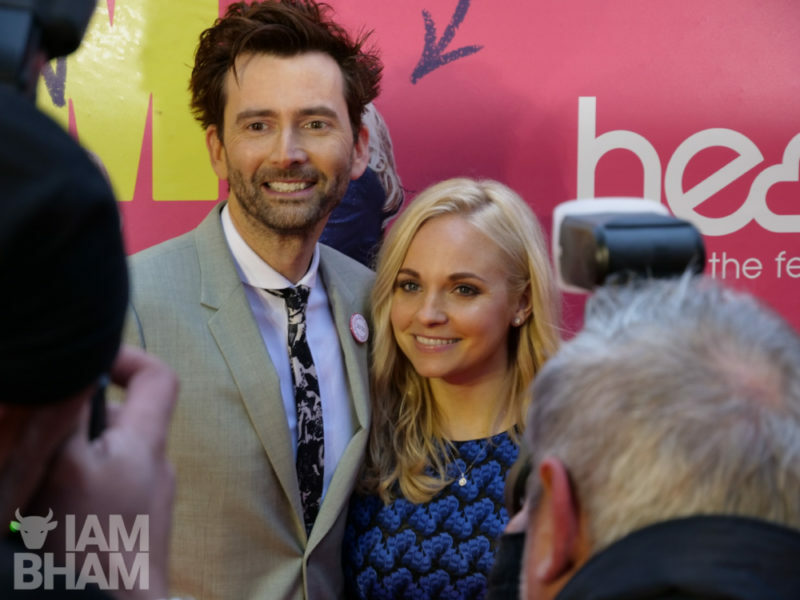 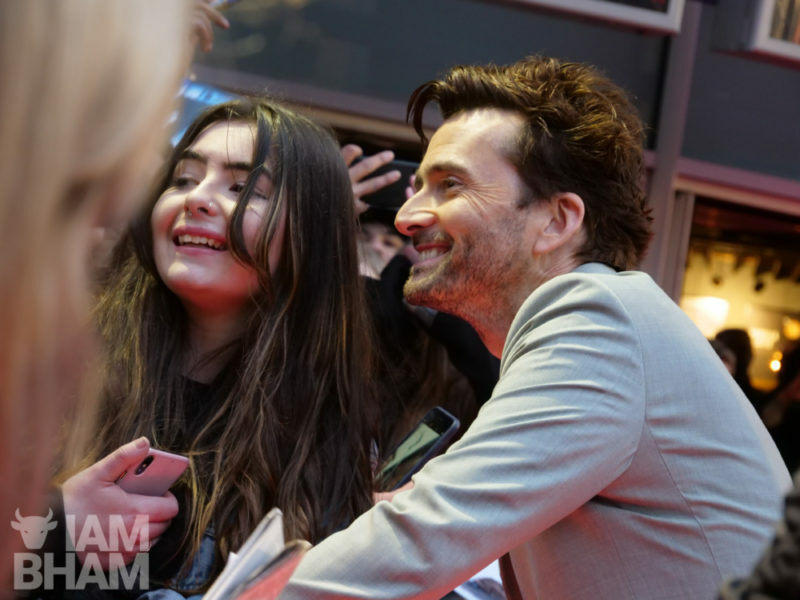 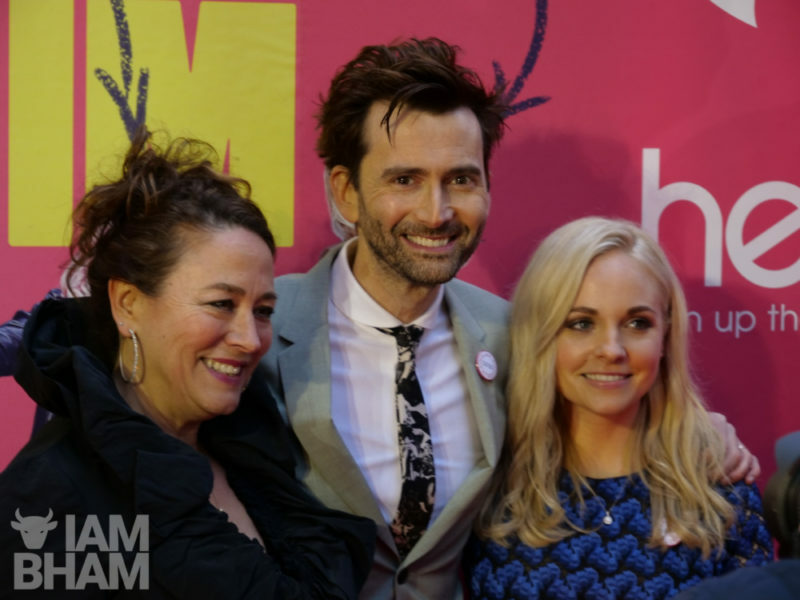 A host of celebrities joined David Tennant in Birmingham this evening for the regional premiere screening of new film You, Me and Him at Cineworld in Broad Street. 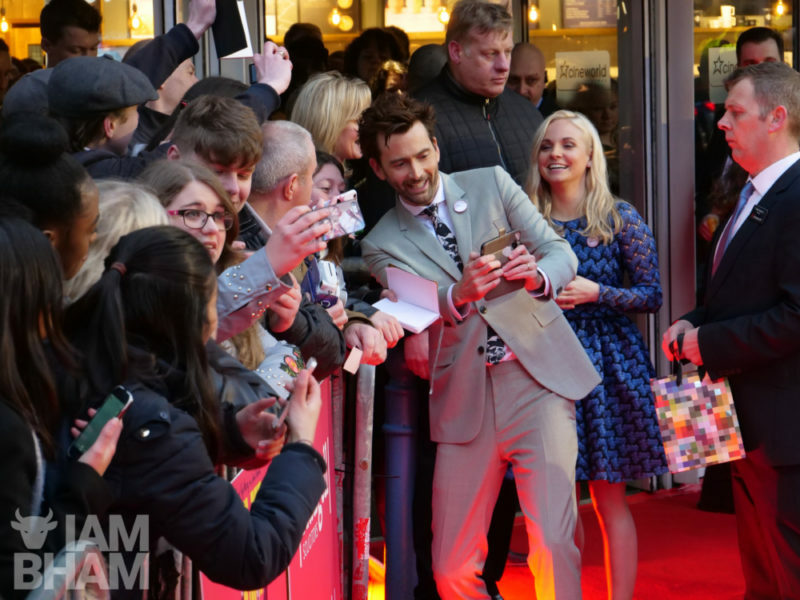 Gracing the red carpet tonight were stars of the film Faye Marsay and Peter Davison, director Daisy Aitkens, and a host of local talent including Nick Owen, Bharti Patel and Ed James. 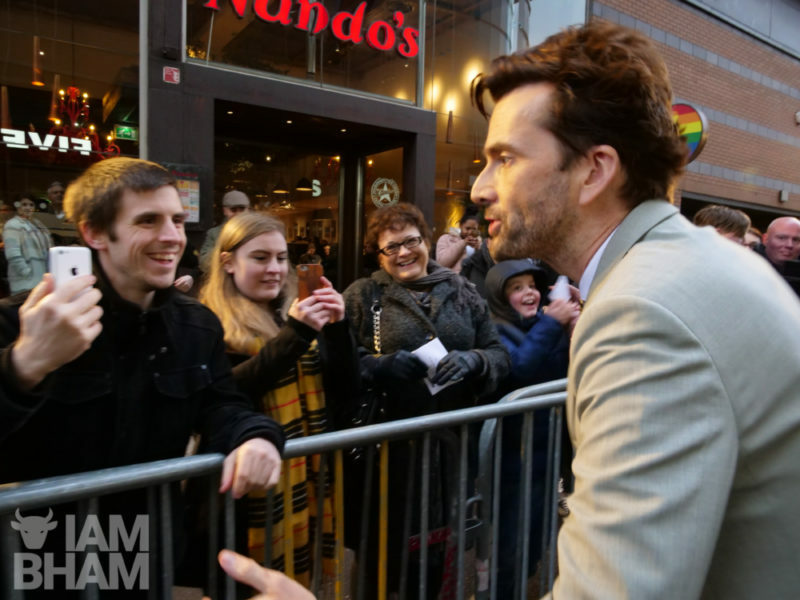 Braving the cold for hours were primarily fans of David Tennant, who famously portrayed the tenth Time Lord in cult sci-fi series Doctor Who. 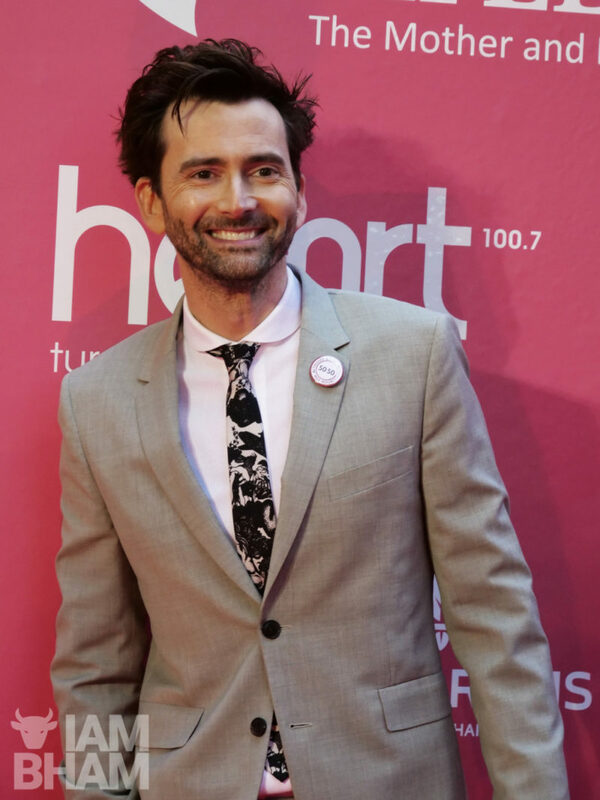 The 46-year-old Scot arrived to cheers from fans, many of them brandishing photos and memorabilia of the star including tributes to Tennant’s characters in ITV drama Broadchurch and Marvel’s Jessica Jones; while there was also a large Doctor Who cardboard cut-out visible in the crowd. 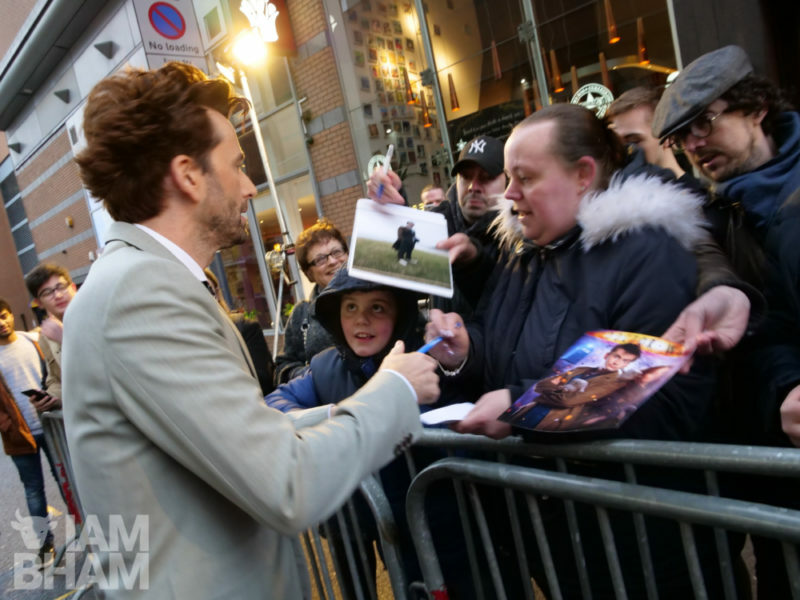 A small trio of fans had even travelled to the screening all the way from Israel! 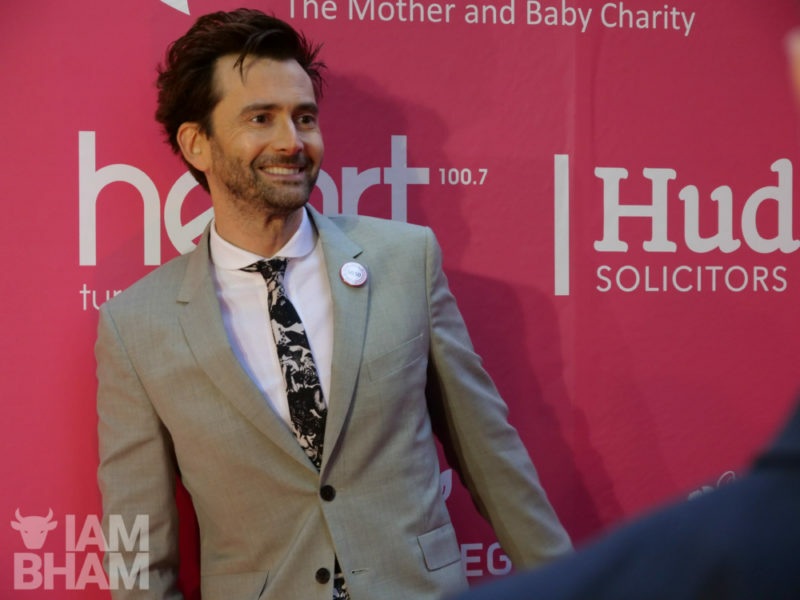 The screening was held n partnership with local charity Baby Lifeline Training, who promote safer maternity care. 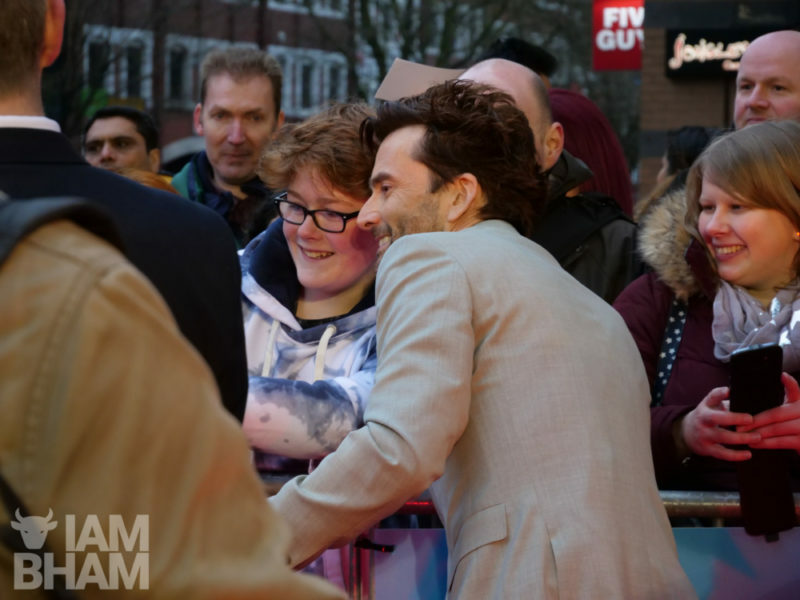 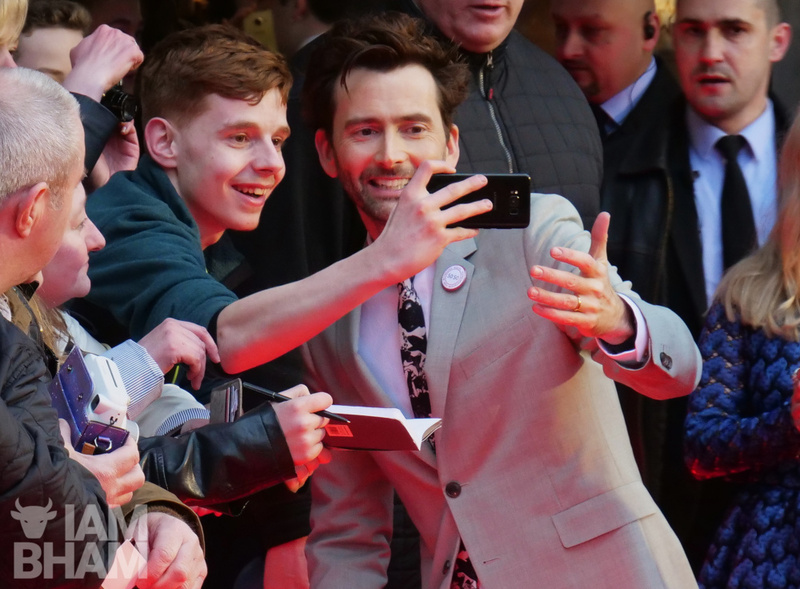 Forever the charming man of the people, David Tennant met, spoke to and took selfies with as many fans as possible, spending over 30 minutes on the red carpet. 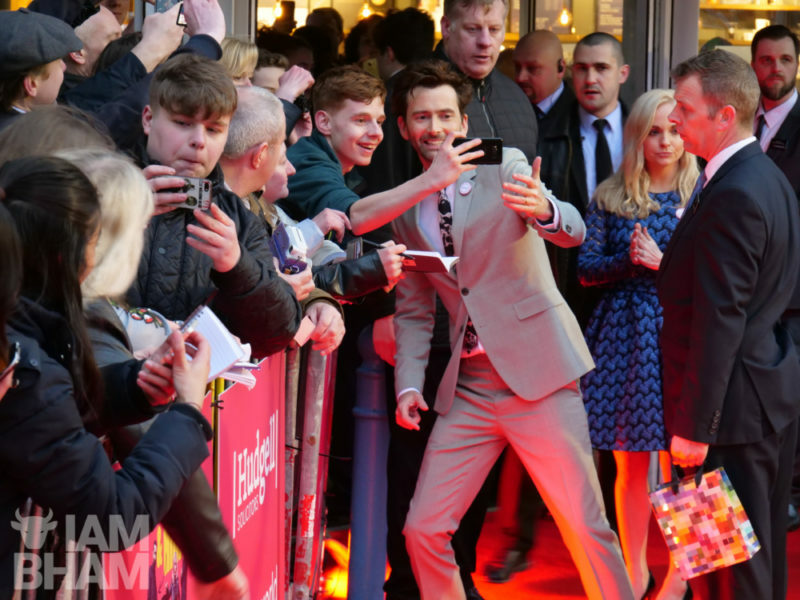 For some, he went out of his way to record special video messages on their phones and posed for group pictures. 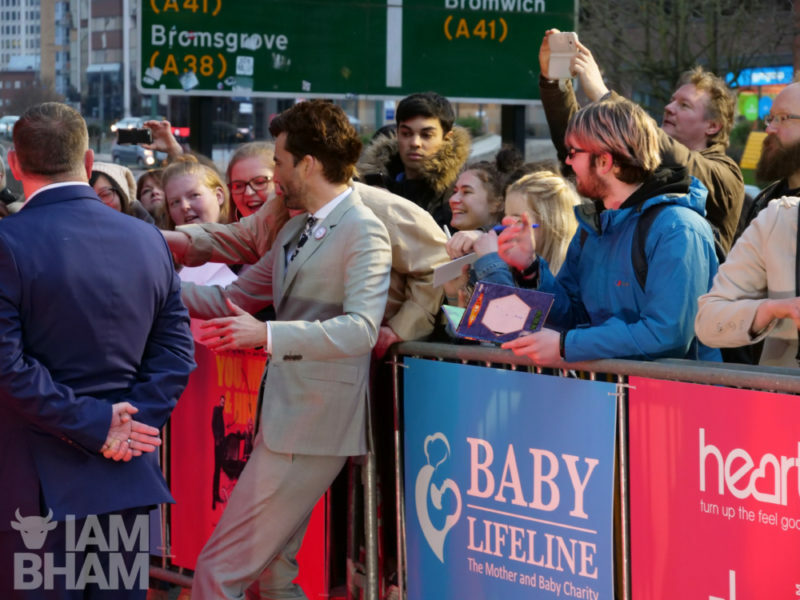 You, Me and Him is one at selected national cinemas now, and available on DVD from April 3.